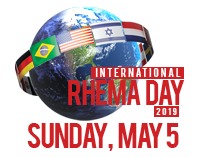 The RHEMA Alumni Audit Program is an opportunity for paid alumni to return to RBTC for refresher courses, or to enroll in new courses that were not offered when they attended RHEMA. For a minimal fee, alumni may apply to audit any course provided there is seating, as regular students have priority. First-year certificate holders may attend any first-year course offered. Second-year and GES graduates may attend any first- or second-year course offered. RSWM, RSW and RSPM graduates may attend any first- or second-year course offered. For more information, click on the Alumni Association / RBTC Audits links.